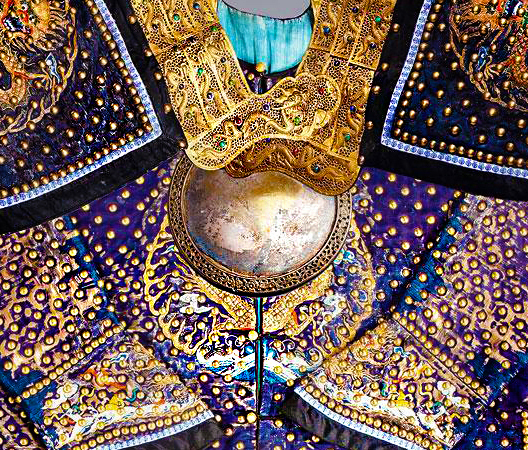 Qing brigandine armor of a high ranking Manchu officer of the Eight Banner Army (1760s.) 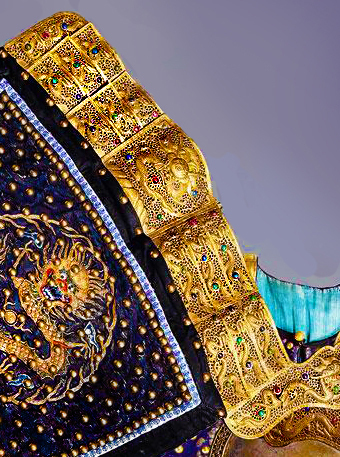 His rank and ethnicity is signified by the blue color of the uniform~ which denotes Manchu ancestry, note the elaborate embroidered dragon motif and the many encrusted jewels protecting the collar, shoulder, chest, back, and at sleeve ends, the copperplated mirror- plate is exquisitely preserved. This particular suit was made during the reign of the vigorous Qianglong Emperor (1736-1795) who fought in a series of "Ten Great Campaigns," three of which was conducted to secure the empire's western frontiers against hordes from Central Asia to the Tarim Basin, four against rebellions from within the empire, including the Jinchuan hill- people in Sichuan and anti- Manchu Han rebels in Taiwan, and the last four in expeditions against Burma and Vietnam, the finally campaign was launched against the Gurkhas to recover Tibet on behalf of the exiled Dalai Lama who fled to the Qing court in Beijing. 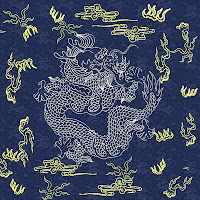 During the Qing dynasty (1644–1912), bannermen and civilians were categorised into ethnic groups based on language, culture, behaviour and way of life. In war, the Eight Banners functioned as armies, but the banner system was also the basic organizational framework of all of Manchu society. The three principal ethnic groups in Manchu society were the Manchu, Han and Mongol. 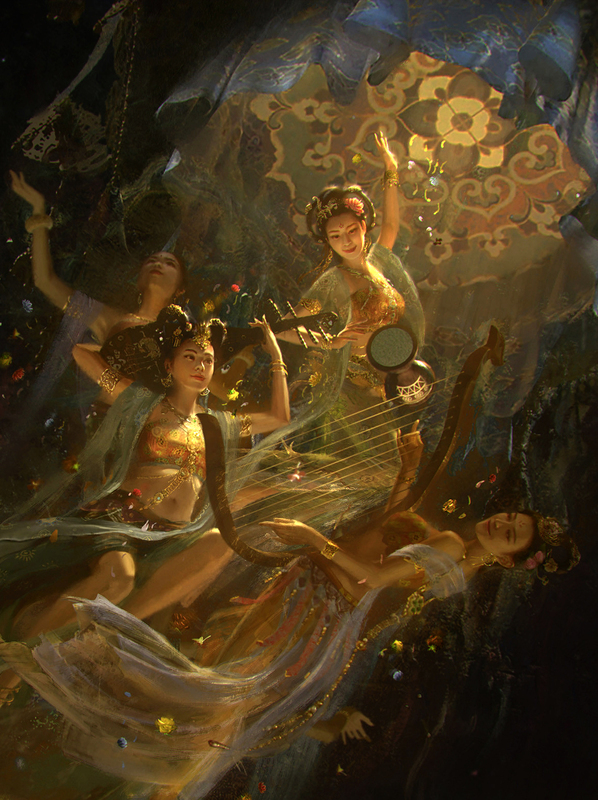 The country had many other smaller ethnic groups, such as the Xibe, Daur and Evenks. Men were grouped into Manchu and Han banners on the basis of their culture and language. The Qing government regarded Han bannermen and the Han civilian population as distinct. 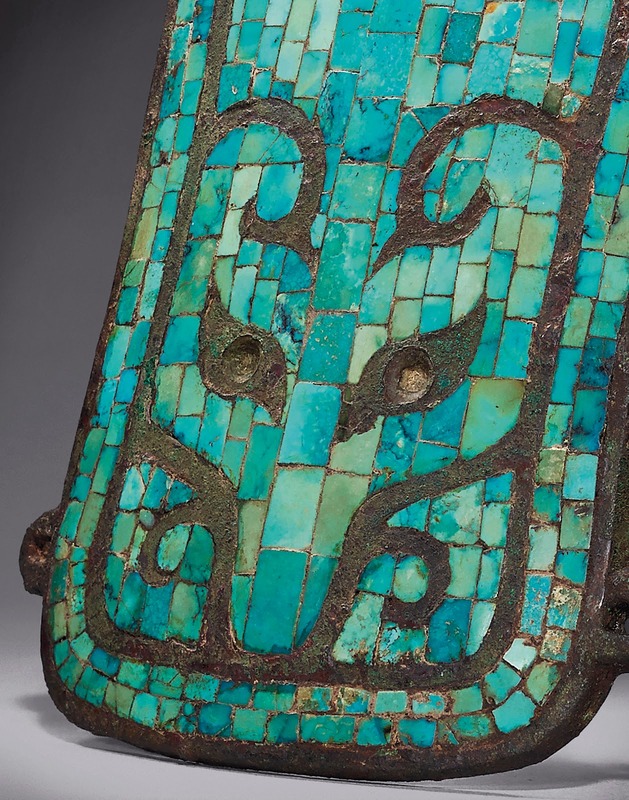 Plain Blue Banner, the army which the wearer of this armor belonged. 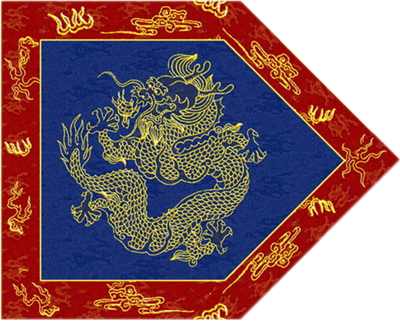 The banners in their order of precedence were as follows: yellow, bordered yellow, white, red, bordered white, bordered red, blue, and bordered blue. The yellow, bordered yellow, and white banners were collectively known as the "Upper Three Banners" (Chinese: 上三旗; pinyin: shàng sān qí) and were under the direct command of the emperor. 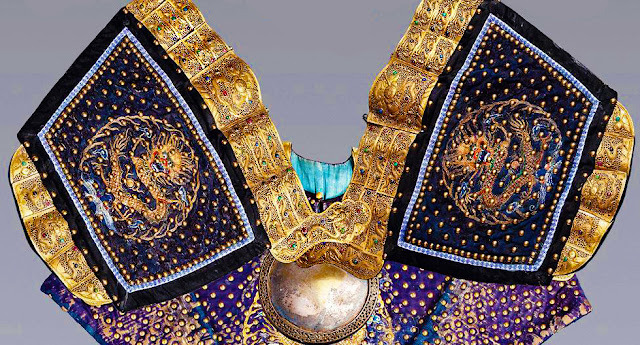 Only Manchus belonging to the Upper Three Banners, and selected Han Chinese who had passed the highest level of martial exams were qualified to serve as the emperor's personal bodyguards. 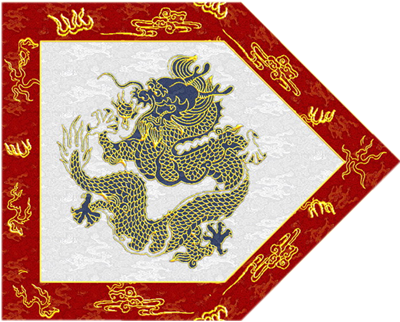 The remaining Banners were known as the "Lower Five Banners" (Chinese: 下五旗; pinyin: xià wǔ qí) and were commanded by hereditary Manchu princes descended from Nurhachi's immediate family, known informally as the "Iron Cap Princes." 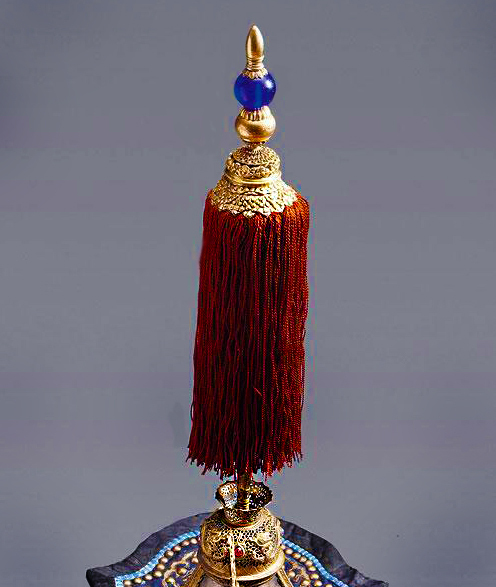 In Nurhaci's era and the early Hong Taiij era, these princes formed the ruling council of the Manchu nation as well as high command of the army. 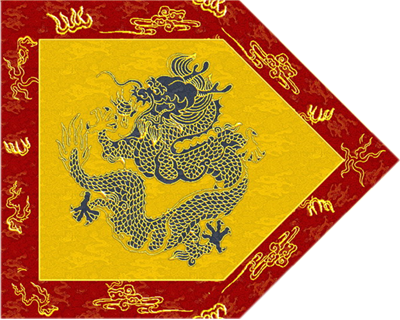 Beginning in the late 1620s, the Manchus started incorporating Mongol tribes, which they either conquered or were allied with, into the Eight Banners system. The Han Chinese who first joined the Eight Banners were replacements for Jurchen soldiers in existing banners who were killed in battle. 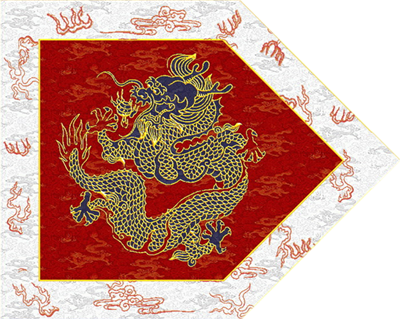 Some Han bannermen and their lineages became successful members of Qing nobility and their descendants continued to be awarded noble titles, such as Li Yongfang, who was ennobled by Nurhaci as a third class viscount and enrolled in the Plain Blue Banner and whose descendants remained as nobles.The Manchus not only gave extensive titles and honours to pre-1644 Han defectors, but also arranged for marriages between them and Manchu noblewomen. However, over time, as more Han soldiers joined the banners, the Manchus decided to form a separate group for them. 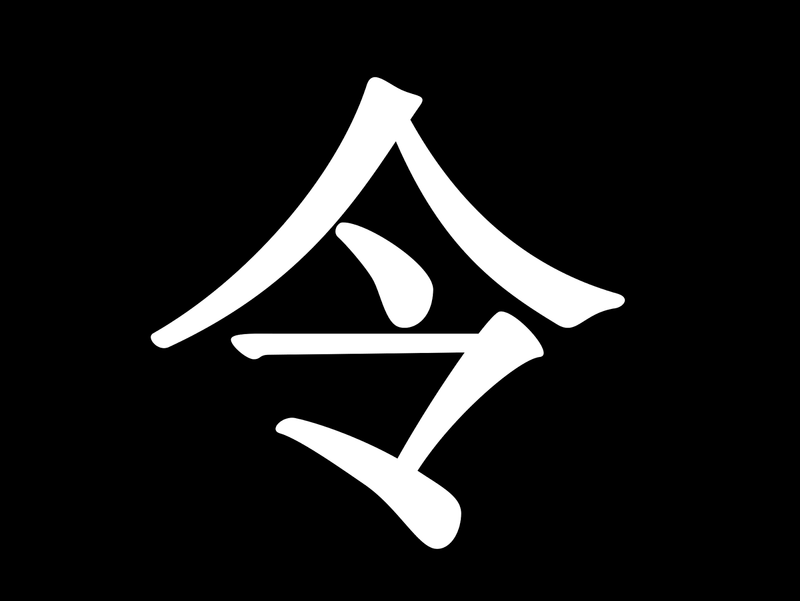 This group, known as the "Old Han Army" (舊漢軍; jiù hànjūn), was mainly used as infantry support. In 1631, a separate Han artillery corps was formed. 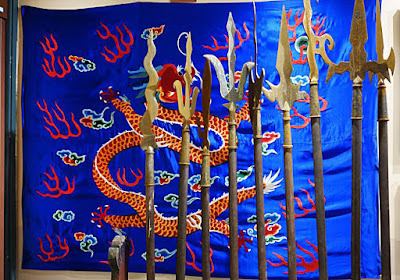 Four more Han banners were created in 1639. By 1642, the full eight Han banners were established. 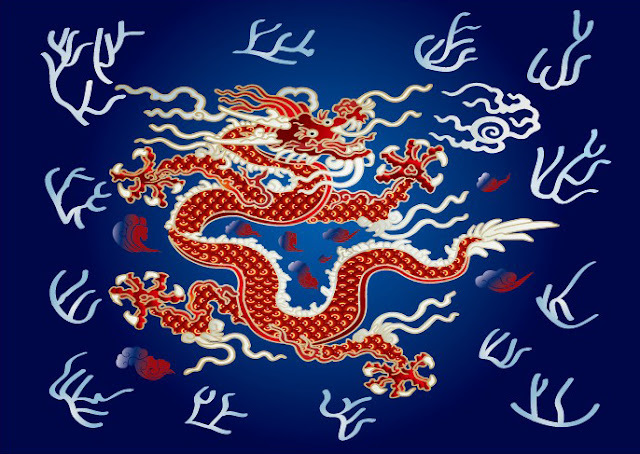 After capturing Beijing in 1644 and as the Qing rapidly gained control of large tracts of former Ming territory, the relatively small Banner armies were further augmented by remnants of Ming forces that surrendered to the Qing. Some of these troops were first accepted into the Chinese-martial banners, but after 1645 they were integrated a new military unit called the Green Standard Army, named after the color of their battle pennants. The Qing created Chinese armies in the regions it conquered. Green Standard armies were created in Shanxi, Shaanxi, Gansu, and Jiangnan in 1645, in Fujian in 1650, in Lianguang (Guangdong and Guangxi) in 1651, in Guizhou in 1658, and in Yunnan in 1659. They maintained their Ming-era ranks and were led by a mix of Banner and Green Standard officers. These Chinese troops eventually outnumbered Banner troops three to one (about 600,000 Green Standard troops to 200,000 bannermen). Until ultimately, the Qing declared that "Manchu and Han are one house" 满汉一家 and said that the difference was "not between Manchu and Han, but instead between Bannerman and civilian" 不分满汉，但问旗民. 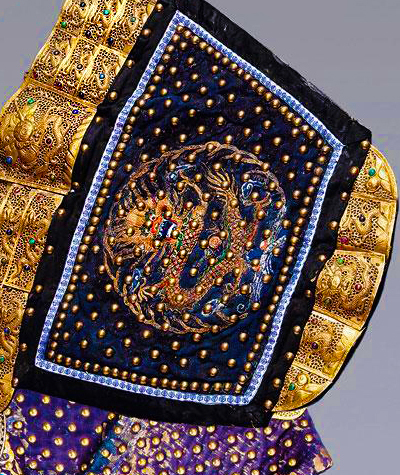 From the time China was brought under the rule of the Qing dynasty (1644 – 1683), the banner soldiers became more professional and bureaucratized. 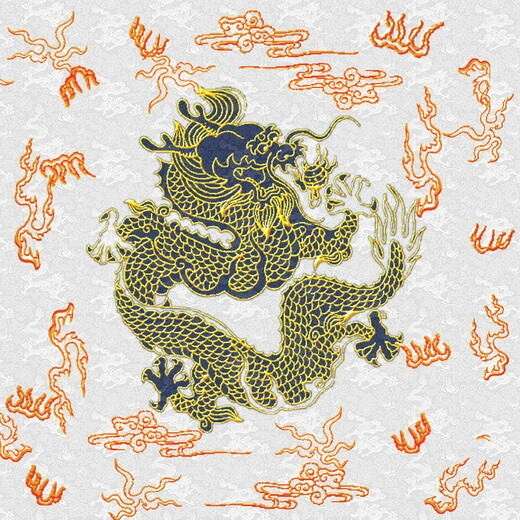 Once the Manchus took over governing, they could no longer satisfy the material needs of soldiers by garnishing and distributing booty; instead, a salary system was instituted, ranks standardized, and the Eight Banners became a sort of hereditary military caste, though with a strong ethnic inflection. Banner soldiers took up permanent positions, either as defenders of the capital, Beijing, where roughly half of them lived with their families, or in the provinces, where some eighteen garrisons were established. P.S. 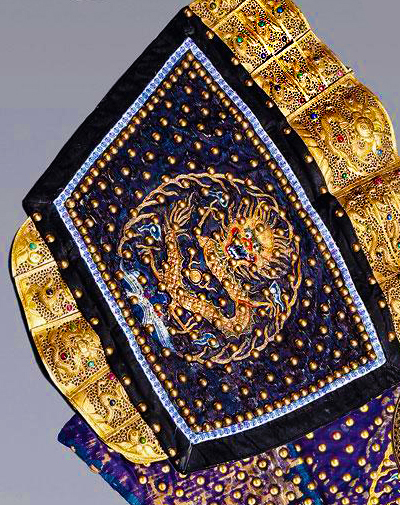 ~If anyone is interested, this particular item is for sale at a Taipei collection for auction~ its prince ranging anywhere from $350,000- 450,000. Thank you.